Regular visitors to this site will find updates about forthcoming NMMA meetings plus other Association and collecting news. Click on one of the subject titles below to go to a particular section directly. Collecting News - Plates, Ephemera & Miscellaneous Items etc. In order to give people as much warning as possible of forth coming NMMA meetings it has been decided that meetings will be organised and venues pre-booked up to a year in advance. Peter Wall has volunteered to co-ordinate this task with those members who have suggest or would like to host meetings. It is hoped that this new approach will give members firm dates to aim for and plan around. In addition to the formalised meetings (R) it is intended to post shorter tern notice of other none official gatherings (O) which are expected to attract a good following of NMMA members. Sunday 6th February - Milton Hall, Elsecar, South Yorkshire. Organiser Frank Burgin. Meeting open from 10 am. NMMA swap meetings are arranged for the benefit of members only. None members are extremely welcome but only on the understanding that they join the association on the same day. Click on the pictures below for further details and photographs of each meeting. NMMA member organises national campaign for a Miners' Memorial Day - For further information about this story click on the adjacent image. NMMA members provide vital information for the centre piece of the Blairhall Colliery Memorial Garden Project - For further information about this story click on the adjacent image. 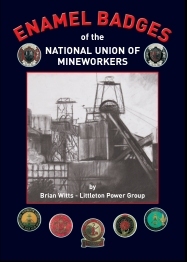 NMMA Member Brian Witts has produced a major new reference book, "Badges of the National Union of Mineworkers", covering British coal mining badges. This lavishly illustrated book contains over 1,700 colour photographs of individual badges together with related background information including details of their issuers, issue dates and quantity issued (where known) etc. As may be expected the bulk of the badges covered in this work are hard enamel issues emanating from the National Miners Strike of 1984-85. All profits from this publication will be donated to "Justice to Mineworker". Copies of this book may be obtained from the author for £33 inclusive of P&P within the UK. For further details contact Brian Witts; 4, Balmoral Drive, Hednesford, Staffordshire, WS12 4LT or Tel: 01543 425743 alternatively e-mail: gailwitts@hotmail.co.uk .For a printable order form click here. 1984-85 Miner's Strike Commemorative Badges - This year as we must all be aware is the twentieth anniversary of the year long national coal miners strike of 1984-85. For a full listing and review of all the commemorative badges produced to commemorate this historic anniversary click the adjacent image. Durham Miners' Gala 2006 - Commemorative Badge - For news of this new badge click on the adjacent image. Brandon & New Brancepeth Collieries - 150th Anniversary of Sinking Badges - For news of these two new badges click on the adjacent image. N.U.M. Lancashire Area Badge - The National Union of Mineworkers Lancashire Area have produced a new Lancashire Area Badge in Red/Silver. It is oval in shape measuring 33 mm by x 22 mm. The badges are available at £3.00 each. Please make cheques, Postal Orders out to NUM Lancs. Area with an S.A.E. Orders should be sent to National Union of Mineworkers, Lancashire Area, 2/4 Hilden Street Leigh Lancashire WN7 4LG - PLEASE DO NOT SEND CASH. Ellington Colliery Closure Badge - For news of this new badge click on the adjacent image. Littleton Power Group Badge Re-issue - For news of this new badge click on the adjacent image. Thornhill Colliery Commemorative Badge - For news of this new colliery closure badge click on the adjacent image. Thorne Colliery Closure & Demolition Badge - For news of this new colliery closure badge click on the adjacent image. Miners Memorial Day Campaign Support Group & Publicity Badges - For news of several new badges related to this campaign click on the adjacent image. Sacriston Lodge & New Herrington Lodges Durham Area N.U.M. 1984-85 Strike Badge Re-Strikes - For news of several new badges related to this campaign click on the adjacent image. Durham Colliery Mechanics 125th Anniversary Badge - For news of this new mining union badge click on the adjacent image. Hatfield Main Colliery Closure Badge - For news of this new colliery closure badge click on the adjacent image. Cannock Chase Mining History Society Badge - For news of this new mining related badge click on the adjacent image. West Cannock Colliery Company Limited Commemorative Badges - For news of these new limited edition mining commemorative badges click on the adjacent image. Coxhoe Miner's Lodge Banner Tags - For news of this unique commemorative miner's union lodge banner tag click on the adjacent image. Proud To Have Been A Striking Miner Badges - For further information click on the adjacent image. Browney Colliery Lodge Banner Appeal Badge - NMMA Member John Kitching commissions a new mining badge to raise funds for a new Browney Colliery Lodge Miners Banner. For further information click on the adjacent image. Orgreave 1984/85 Strike Badge. - Matty Kitchen's has commissioned a commemorative "Orgreave Veterans 1984" strike badge. This badge has been made in a very limited addition comprising 25 solid silver issues plus one (which Matty is keeping himself) in gold. All are Hall marked. Anyone interested in purchasing one of these badges should contact Matty directly on either of the following telephone numbers 01977 510049 or 07979 517516. The following new publication by NMMA member Michael Finlay his highly recommended to those interested in the early West Cumberland mining token series. This work, which is lavishly illustrated in colour throughout, will now form the standard work on this important early series of mining paranumismatics. Published by PLAINS BOOKS; 1st November 2006. A4 format, (210 x 295mm); pp i-viii, 196 pages. 275 illustrations, mostly in full colour. Since the publication in 1922 of Tickets and Passes of Great Britain and Ireland, by Davis and Waters, which listed without illustration some 70 mining and related tokens from West Cumberland with their varieties, little has been written on the subject, apart from a few short articles. The present work includes more than double that number of tokens, and seeks to place them in their geographical and historical contexts. It is not intended as a full catalogue of all the recorded types and varieties, but as a study of the author's collection, formed over the past five years, together with a few tokens from other collections, examples of which have so far eluded him. There is much new light on a series for which up to now there has been a dearth of reliable information, and several token issuers are identified for the first time. It is hoped that the inclusion of short biographies of the main token issuers and their families, with in many cases their portraits, (many of which have not previously been published), their houses and their heraldry, may give the work an interest to the general reader as well as to those interested in the local history of West Cumberland and the history of its mining industry. Copies of the above book may be ordered through the author for £50 each plus £5 p&p (within the UK). Trade enquiries welcome. For further details contact NMMA member Michael Finlay or visit his web site. This is a Limited Edition publication of only 500 copies, each numbered and signed by the author. Collectors Beware of Fake Mining Checks! All members should beware the following embossed miners' association pieces and pit check reproductions that have been turning up over the past few months (first Posted early 2000) in antique fairs and markets around Newark, Barnsley, Dewsbury, Chesterfield, Doncaster, Sheffield, Durham and Tynemouth. 1) YORKSHIRE MINERS ASSOCIATION PARK HILLS LODGE (Brass, large rectangular). 2) YORKSHIRE MINERS ASSOCIATION WARREN VALE COLLIERY (Bearing makers signature of LEONARD of B'HAM) (Copper, circular). 3) YORKSHIRE MINERS ASSOCIATION FRYBERG LODGE (Brass, multi petalled rosette type design). 4) DERBYSHIRE MINERS ASSOCIATION around clasped hands design (33mm brass, both circular & star shaped types). 5) DURHAM MINERS ASSOCIATION MARSDEN LODGE (Brass or copper, triangular). 6) DURHAM MINERS ASSOCIATION WEARMOUTH BRANCH (Brass or copper, circular). Items No.5 and No.6 first started to appear on the market (in some quantity) early in 1999 and have since found their way into very many collections and dealers lists. Originally their authenticity was not questioned. However, recently further much cheaper and poorer quality examples of these two association pieces have been appearing in groups with the other checks listed above. This now makes their origins questionable to say the least especially as their source can be traced back to a single Yorkshire market trader. The faker’s choice of pit checks appears unusual as they are all relatively common types that most established collectors have. Possibly this has been done purposely to target their sale to new collectors who are less likely to question their authenticity. Investigations have indicated that all of the fake items can been traced back to a single Yorkshire based dealer who frequently stands at markets and militaria fairs in the Yorkshire and North Derbyshire. It is not known if he is responsible for their manufacture but he certainly appears to have been responsible for their distribution onto the market. After the recent forgeries were exposed several duped collectors took items back to this dealer who protested his innocence in the whole matter but never the less exchanged many of the reproductions for full cash refunds. It has since been alleged by at least one of these collectors that the returned items were replaced into the trader’s stock and sold on to others. These latest fakes are of variable quality depending on how well they have been cast. The better ones are extremely convincing and display wonderful dull and toned surfaces. All of them have been cast from a white metal alloy and then electroplated using specialized solutions to give a copper, zinc or brass metallic finish. At least one of the pit checks spotted (a Langwith Colliery pre 1947 issue) has even had solder applied to its centre field and a number stamped over the top of it. This has been done purely to try and make it look more authentic. The forgers have obviously picked up on the fact that this method was once commonly used at many pits as a way of re-numbering and hence re-using old checks. This practice was extremely common at many of the Welsh pits. All the fake checks reported so far have been chemically aged and patinated giving them with a very authentic antique appearance. It is believe that the method of their manufacture is similar to that used by specialist companies who regularly advertise their services to the metal detecting community. Such companies make high quality but lightweight cast reproductions of brass, copper, gold and silver coins and artifacts. Blotchy surface marks resulting from wear or pitting of the high temperature resin moulds from which they have been made. Partial obliteration of the check's design by smooth pit marks of variable size (very small to grotesquely large). Such marks are the results of air bubbles being trapped in the mould during the manufacturing process. Concoidal stress type fracture marks, often on the flat reverse sides of the checks. The presence of tiny edge rims etc. where the two halves of the mould have come together and metal has seeped around the join and out of the mould. In the case of the miners' association pieces such rims can often be seen in the usual two fastening holes also. The presence of smooth rims with areas of an "over flat" nature together with the partial enlargement of the fastening holes on the miners' association pieces. Presumably this has resulted from uneven filing/smoothing off of such edge rims as mentioned above. The fabric is usually light weight compared to real checks or association pieces. Similarly when knocked against a real brass check the fakes sound slightly tinny or higher pitched than would normally be expected. The fabric of the tokens can be none uniform resulting in an uneven thickness profile. This is never the case with tokens stamped from good quality sheet brass or copper. Where the tokens bear the normal hand stamped identification numbers these can often be of a "non-crisp" nature indicating that they haven't been applied with any force, i.e. because they are the cast image of the numbers on the original token/check. Where such numbers appear very weak the fakers have tried to be clever. A resin or filler has been applied to the numbers on the original moulds and then fresh numbers stamped onto the surface of the finished check with number punches. Unfortunately for the faker in carrying out this practice he/she has failed to notice that in at least one mould (SEAHAM) an impression of their fingerprints has been left on the surface of the filler. The prints are subsequently very noticeable on the final reproduction checks. Where no such fingerprints remain the surface of the check below the freshly applied numbers often appears rough and mottled in appearance. Most damning of all 90% of those fakes so far reported will start to bend (to varying degrees) when placed between the forefingers and thumb and after applying some little pressure. This is not possible with real checks, not even those made of aluminium. Fake Mining Checks - Follow-up News. Report No.1 - Since the latest spate of fakes started to emerge late in 2000 one of the NMMA's Yorkshire members has recently (15/04/01) reported yet another forged miners' association check/badge to appear at some of his local markets. The latest piece to be copied is described below and bears the usual tell tale forgery marks noted in the report above. 12) Y.M.A DINNINGTON BRANCH (Brass, six pointed striated petalled start design with legend in three lines in a plain central field). Report No.2 - A further dubious pit check was recently brought to the attention of the NMMA by a none member at the 117th Durham Miners Gala. This piece had been purchased in Co. Durham and although it was not one of the normal "bending" variety of copies it was the less a cast and chemically aged forgery which was given away by both its mottled surface appearance plus its poor quality edge which displayed a half milled design with areas of none milling with jagged frills where metal had yet again seeped through the two halves of the forgers' moulds. Report No.3 - During the first week of September one Yorkshire NMMA member was offered a seemingly unheard of oval brass embossed check from Victoria Colliery (Biddulph, Stoke-on-Trent). Although the check looked well worn and had a beautiful antique toned surface on closer inspection it proved to be yet another "bendy" cast fake. The same market dealer had two other more familiar varieties of Victoria Colliery checks for sale earlier that same day. It is not known if these were also fakes but we can probably assume that they were. Just in case these additional check types have been tentatively added to the ever increasing list of fakes currently known to the NMMA. Items Nos. 15 & 16 are suspected to be amongst the latest batch of fakes to hit the markets. Confirmation is still to be received. The NMMA are grateful to Emyr George and David Shaw for reporting the following fake Welsh colliery checks which have recently appeared for sale in Wales. On grounds of style alone the first two types (Nos. 17 & 18) of this latest batch of fakes appear to be from the same school of forgery as the infamous series of large John Lancaster checks which were doing the rounds (mainly in Wales) some 5 to 7 years ago. Whether these latest discoveries are recent or old and up until now un-reported fakes is not certain. For those collectors not familiar with the various types of fake John Lancaster checks they are a series of very large and distinctive oval and rectangular tokens with relatively large central stacking/suspension holes. Although the original checks types are embossed the fakes take the form of variable quality castings bearing all the usual traits of such means of manufacture. The surfaces of such fakes are usually chemically aged to give the appearance of being old. This particular series have been made from cast white metal (solder like) cores which have then had a thin brass like layer applied in some way to their surfaces. Often the white metal cores of these fakes can be seen through patches in the thin brass surface layers. Some collectors even report cases where the brass surface layers can be partly pealed off exposing the white metal cores beneath. 17) N.C.B. PENGAM COLLIERY AREA NO.5. c/m 556 1R- Reporting to be uniface; brass embossed; 54 mm diameter. Genuine checks of this type are very rare. The example reported was a particularly poor quality casting with roughly drilled suspension hole. 18) S.W.D. BRYNLLIW (blank no c/m number applied)- Reporting to be uniface; brass embossed; 33 mm diameter. Genuine checks of this type are relatively common. The example reported was a heavy but relatively good quality casting with very poorly drilled suspension hole. 19) GRAIG FAWR c/m 33 - Well hand stamped; brass uniface; 39 mm diameter. 20) PENGAM COLLIERYc/m 33 - Well hand stamped; brass uniface; 39 mm diameter. The NMMA are grateful to David Saddler & John Hancock for reporting the following fake Co. Durham colliery checks which have recently (December 2002) appeared for sale in Tynemouth Station Market. 21) BISHOP MIDDLEHAM c/m 1343 (Circular, copper embossed). 22) BOWBURN COLLIERY (Circular, brass embossed). The above checks were of the cast type previously attributed to the now infamous South Yorkshire School of Fakery. As usual the checks appeared old, worm and well patinated on first appearances but had the usual edge defects, surface blemishes (in the case of the Bowburn) plus most damming of all they all bent on the application of only little pressure between the fore-finger and thumb. These two new fake types turned up together with a further cast example of a CLARA PIT (See Item No.13, Report No.2). The following information was recently posted on the Forum Page of the NMMA web site. The NMMA are indebted to Steve Roberts and William Thorpe for passing on this "bad" but important news. Just when we thought things were getting better this report emerges! "There have been a lot of very odd looking pit tallies (East Hetton Collieries Ltd, Lampton D, NCB Wardley, Lumley Sixth and NCB Avenue Drift) appearing recently from a couple of boot sales plus on E-Bay. The individual checks appear to be OK when viewed in isolation but when a lot of them are viewed together they all appear to have similar odd looking things about them. The checks are all from Durham and Northumberland pits and are round brass embossed, no alloys. The front and reverse sides are worn and dirty looking giving them an old feel but the edges are often still a bit sharp and the suspension holes look hand drilled with rough edges to them. The number dies used on some of the pre NCB checks also look relatively modern. A couple of other collectors have told me that these checks are thought to be struck off re-made modern dies as it is doubtful anyone could have found a load of NCB and pre 1947 original dies from such rare North East pits which all closed down at different times and were located many miles apart in different Areas. Some of the checks one bloke showed me were on oversized and undersized brass blanks. These checks are not cast copies and are definitely struck off dies. They look very convincing." Further to the above report several collectors have also reported that many of the round East Hetton Colliery Ltd. fake varieties have been hand stamped with the word "TUB" underneath the normal identification numbers. 24) MANVERS MAIN C. Co. PAY CHECK (Brass, "dog bone" shaped). This is another interesting choice of check for the fakers to go for. Although of a pre 1947 issue the original check type from which this fake was cast is fairly common and not (unless sold very cheaply) particularly desirable with well established collectors even as a spare. It is presumed that the fakers are again trying to cash in on the growing numbers of new collectors to our hobby to whom such a uniquely shaped pre 1947 check would be bound to appeal. If it were not for the usual bendy nature of this check most collectors would find it difficult to spot. The question remains is this a freshly made check or a left over from the original bout of cast fakes that hit the market some five years ago? It is interesting that only one example of this particular fake has so far been spotted. This may imply that they have only just appeared. Let's hope this isn't the case! Some time ago Bill Marriott handed me a copy of an advertising leaflet issued by the well known safety lamp makers E. Thomas & Williams Ltd. of Aberdare, Wales (ET&W). This leaflet is well known to established colliery check collectors and contains an illustrated listing of at least 16 different scarce to rare Welsh Colliery checks that have been re-struck by ET&W over the years off original dies in their factory stock. These checks used to be available (and maybe still are) from ET&W for £3.5. Their welcomed availability allowed many collectors, me included, to fill gaps in their collections with checks that were not likely to turn up via any other avenues. Although the checks had never seen a colliery in their lives there was a degree of re-assurance that they were at least struck off the dies that had originally been used to supply the collieries in question. However, as one can expect such a supply of rare un-marked re-strikes was always going to be too much of a temptation for some unscrupulous traders and collectors and it wasn't long after ET&W started selling these checks that similar ones started to appear for sale across the country. The only difference was that those that were being sold on were now stamped with numbers and were artificially worn and chemically darkened etc. so as to try and pass for the "real thing" and not the £3.5 re-strike they in fact were. Many collectors and dealers got caught out by these "doctored re-strikes", myself included as unless you were aware of the ET&W re-strike list you wouldn't have questioned them as being old and genuine. I think now that we have a whole new generation of colliery check collectors out there it is about time that someone reminded us all of the existence of the ET&W re-strikes as they continue to turn up many of them attempting to pass as the real thing. It's a pity that ET&W didn't mark these checks with a small counter sunk "R" on their revere sides (as has been suggested by many collectors since their first appearance) so as to easily identify them as re-strikes. There are still a lot a re-strikes passing as genuine used checks doing the rounds. Many still appear for sale on EBay. The problem is how does one tell a genuine check example from a "doctored" re-strike! Well here to remind us all again of the full extent of checks re-struck by ET&W is a list together with a copy of ET&W's original sales illustration which shows most of them. David Barrie has contacted the NMMA to announce that he has published a CD history of the British flame safety lamp. Further details are available on David's web site - www.thewandofscience.co.uk. In addition as from mid 2006 David has produced a limited stock of 250 copies of his book in hard copy format comprising 200 colour pages in an A4 format, perfect bound with soft cover. The cost of the book is £60 plus £5.60 postage within the UK. 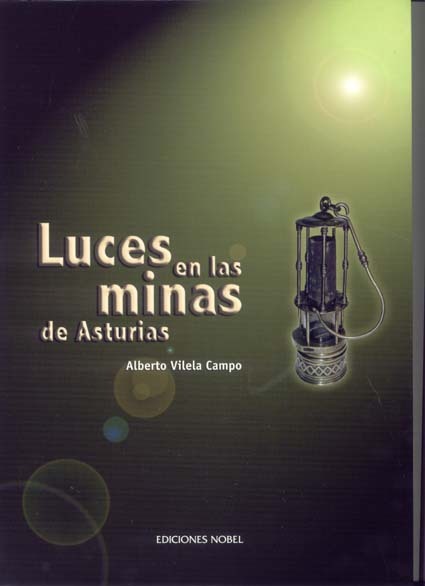 Alberto Vilela Cambo has contacted the NMMA with information about his new book covering the history of miners' lamps and mine lighting in Spain. The book (which is written in Spanish) is entitled "LUCES EN LAS MINAS DE ASTURIAS". This publication (ISBN: 84-8459-285-5) comprises 255 pages and includes 400 illustrations. Lamps cover in the book include those used by Roman miners through to the more familiar spout type plus Davy, Cosset Dubrulle, Clanny, Marseaut, Porion, Adaro, carbire and Adaro lamps. The book costs €24 or US$ 31.50. P&P cost via registered mail within Spain is € 5 for the rest of Europe € 17.55. The USA and Canada € 15,50 (or US$20.15). For more information contact the author directly on vilelacarral@wanadoo.es . 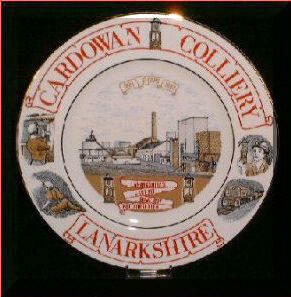 I am currently putting together a collectors guide and catalogue of commemorative china plates with mining/colliery related themes and would like to hear from any other collectors of such plates with a view to recording the details of their more obscure items be they plates, dishes or saucers etc. I am particularly interested in gathering detailed descriptions of each plate’s central design plus any details or trademarks etc. which may be transferred on the reverse sides. There are at least 270 such plates known to have been made (some in very limited numbers as special collectors editions) over last couple of decades and probably a good few more in previous years. Most of the plates commemorate individual collieries or N.C.B. Group Areas etc. while others commemorate individual miners’ support groups etc. of the 1984-85 miners’ strike. There are many other specific plus general plate design themes. Most of the more recent plates were made by the company of Edwards & Locket of Stoke-on-Trent and carry the “EDWARDIAN” trademark on their reverse often with other Studio and plate picture details. I would appreciate contact with other collectors or anyone who thinks they may be able to help me further with my researches and catalogue compilation. Please make initial contact with me by double clicking the following e-mail address link - kitchenmal@aol.com or by telephone on 01977 510049 or my mobile 07979 517516.